The town of Swellendam is the third oldest town in South Africa, the other two older towns being Stellenbosch and Cape Town. Swellendam is situated at the base of the Langekloof mountain range and lies in the shadow of the Clock Peaks so named as the time can be told by looking at the shadows cast by them. Being half way between Cape Town and Mossel Bay on the Garden route it is an important stop of for travellers to the east. The town was established in 1747 and is named after the then governor of the Cape, Hendrik Swellengrebel (who was the first South African born governor of the Cape) and his wife Helena ten Damme. Being one of the older towns in South Africa, Swellendam contains numerous old buildings which date back to the 1700's when the town was established. The influence of the Dutch and the British can still be seen today in the many Cape Dutch and Victorian buildings dotted around the town. One of the important buildings left over from early days is the old Drostdy (Magistrates Courts) which was built in 1749. It was used as the magistrate's residence and also served as court and prison until 1836. Today the complex is used as a museum with displays of beautiful furniture including kitchen equipment, horse carriages and an extensive photo and picture collection depicting the history of the town. As in most Cape towns there is always a Dutch Reformed church. 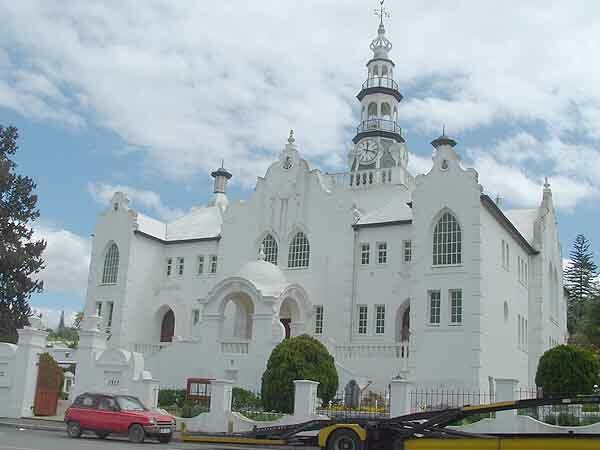 Swellendam is no exception and it boasts the old Oefenings Huis which was built in 1838 as a place of worship and an educational centre for freed slaves. The building incorporates Gothic, Renaissance, Baroque and other Cape styles and has a charm all of its own. 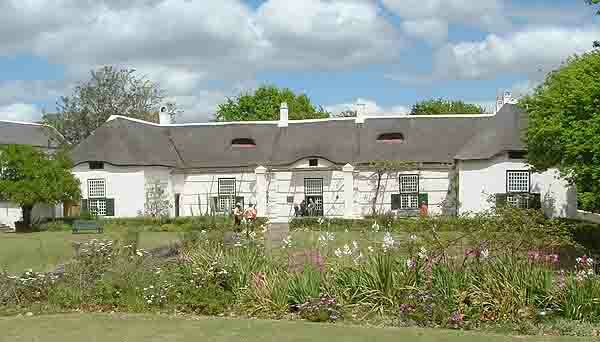 Other than the historical buildings some interesting events have taken place in Swellendam. The most well known event happened in June of 1795 when the local magistrate Mr A A Landman was driven out of the town by the free burghers (citizens) as they were tired of the misrule of the Dutch East India company who governed the Cape at the time. Swellendam declared itself an independent Republic and installed Hermanus Steyn as the president. The life of this republic was shortlived as shortly afterwards the British invaded the Cape and established British rule. In 1865 a large fire devastated the town when it swept through and destroyed many of the old buildings in the area. All was not lost however, as the Overberg region in which Swellendam is situated is rich in historic sites dating back over a million years. The Stone Age era can be linked to the Khoi Khoi (the Hessequa or " people of the trees" as they were known ) who arrived in the Swellendam region about 2000 years ago. These nomadic people who moved about in small groups were herders who farmed fat tailed sheep and long horn cattle. Each group was headed by a captain who could be male or female. The Khoi often set up camps on the banks of the Breede River just outside Swellendam in what is today known as the Bontebok National park. Evidence of their camps can still be seen today. The Hessequa's demise began when they made contact with the Dutch in the 1600's. Diseases such as smallpox were spread to the Khoi and as they had no resistance to them they died like flies. Competition for land and the introduction of alcohol and tobacco further decimated the clans of the Hessequa’s living in the region. Today there are very few descendents of the Khoi people left. Over the years Swellendam has established itself as a commercial centre in the Overberg following the tradition of Barry and Nephews, merchants, who dominated the scene during the early days of Swellendam. 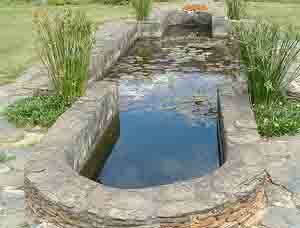 In between all the regular sites and sounds to be found in this inland town are a number of unique places to visit. There is a house dedicated to fairies and for a small fee you are allowed to enter and experience their world. The 430 ha Marloth flower reserve is nearby on the slopes of the mountain and in spring time when the fynbos and proteas are in bloom it transforms itself into a flower paradise. 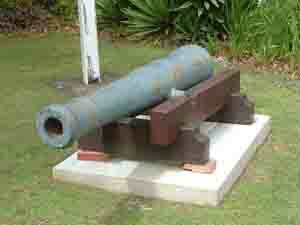 Next time you drive through this interesting historic town take time out to visit some of its attractions.